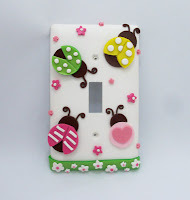 Decorative Wall Plate Light Switch Covers can be do it yourself projects too. How fun, and cute these are! 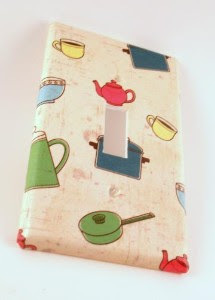 What fun you can have with your light switch covers for every room in your home. Don't forget the covers for your outlets as well. They come in all shapes, and sizes which you can have fun with all of them. These are not too bad to make, simple, and fun. 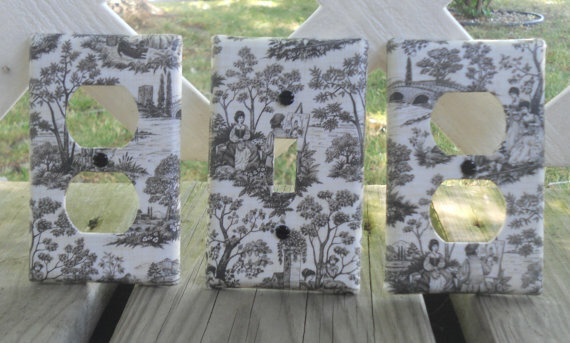 You can change out your wall plates often, when you change your decor, for the seasons, and if you are looking for some small changes to make. 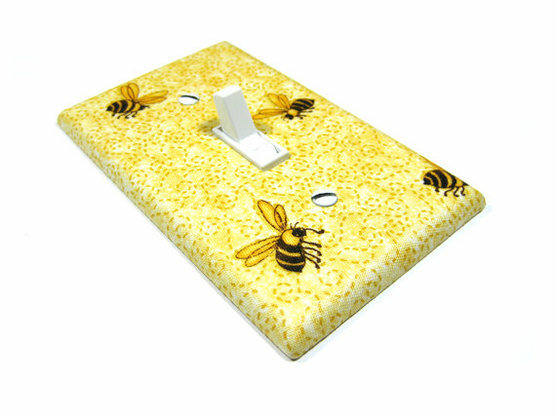 You can find switch plates from your Dollar Stores, Hardware Stores, Walmart, Target, and etc. Supplies you will need to have with these plates will be brushes, glue, paint, scrapbook paper, tissue paper, wrapping paper, embellishments, mod podge, and so on. Pictures of your kids, families, pets, and the possibilities are endless with this small do it yourself project. You could have the fun of making some of these yourself. If you would not have the time, or don't feel comfortable doing them yourself you can buy made plates with some of your stores, or better yet check with some of the wonderful talented artisans who do these kind of things for you. Check with Etsy, and other market places that you may find on the internet. Hope you enjoyed this little project shared with you, and it helps you with some of them creative juices for you as well. Simple, sweet, and fun. I like it like that, don't you? Thanks for sharing your time with LilacsNDreams, and sure do hope to see you again soon. Take care, and have a sweet day!